The only high-tech portable temperature control device designed to automatically control your grill's temperature like an oven, anywhere you go. The results are tender, juicy, and delicious barbecue every time. Barbecuing with charcoal is the only way to turn meat into that unbelievable succulent, tantalizing flavor. Whether you're cooking beef brisket, pork ribs, or chicken wings, the key ingredients to mastering delicious barbecue are the perfect mix of time and temperature. Conquering this slow cooking process allows the tough, chewy protein fibers in meat to break down and transform into incredibly tender barbecue. The problem is that charcoal is notoriously difficult to control and wild temperature fluctuations can result in tough, dried, or burnt meat. The PartyQ temperature control device easily avoids this disaster by effortlessly maintaining the precise cooking temperature inside your grill for you. No matter what type of meat you're cooking, your meals will always be bursting with flavor. The PartyQ's proprietary technology monitors and controls the temperature inside your grill by feeding the precise amount of oxygen to your charcaol. 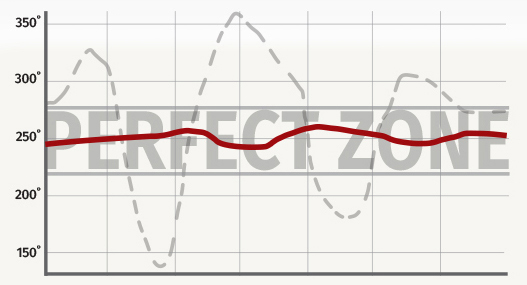 With minimal effort, temperature fluctuations are reduced and accurate tempurature control is achieved. The result is evenly cooked food, helping you serve your friends and family the tastiest, juciest food every time. The large 3 digit display is designed to be easily seen during all times of the day. The LCD screen allows you to view the grill temperature at a moment's notice and change temperatures to display F° or C°. 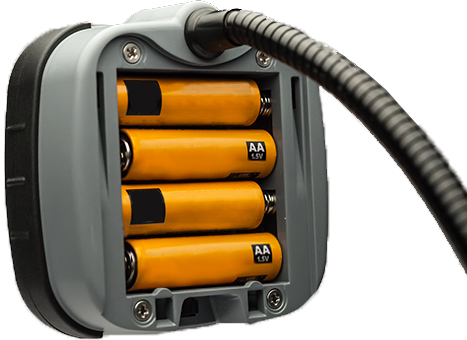 It also features a battery level indictor that notifies you when batteries are less than 20%-30% of capacity. At a quick glance, a blower/ temperature LED bicolor light indicates how the PartyQ is controlling your grill. During normal use, the blower will smoothly stoke the fire and intermittently feed it bursts of oxygen at the precise time. When charcoal is running low, the blower will start running all the time, signaling that you should check your charcoal levels. 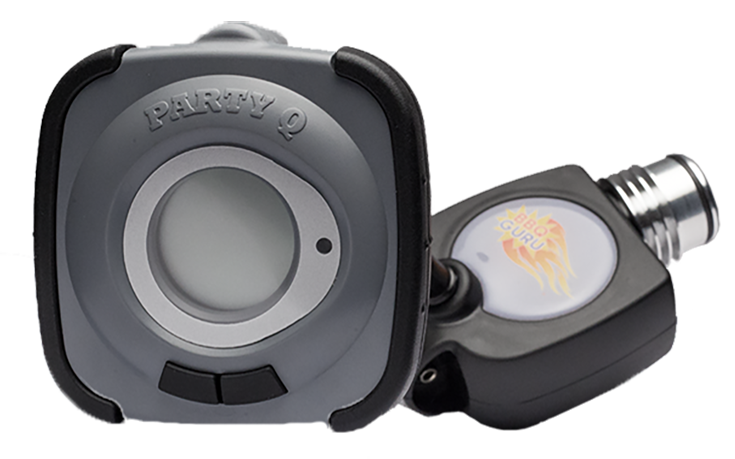 The PartyQ is equipped with a rugged high precision temperature probe that gets placed on your grill's grate. The digital thermometer probe measures the cooking temperature and sends this reading back to the main control unit. The PartyQ then evaluates all temperature changes and adjusts the heat as needed. The probe is rated for temperatures up to 500° F and the armored sheathed wires are used to protect against breakage, heat, or errors while cooking. Whether you're a beginner or professional pitmaster, the PartyQ will make your outdoor cooking experience easier than ever. 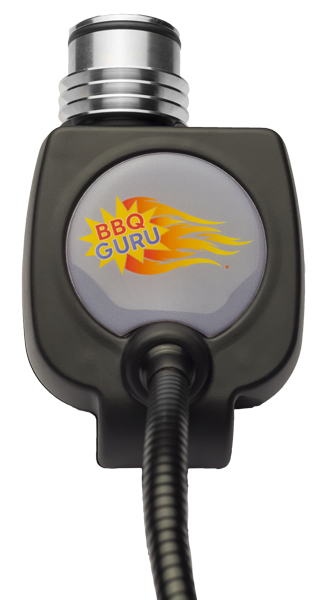 Take the guesswork out of your next barbecue and attach the PartyQ to your grill. Easily set your desired temperature using the up and down arrow keys and the high-tech device will consistently maintain your target temperature. Long cooks are now easy and convenient, so you can enjoy the best and most tender meals ever. If you enjoy the idea of not having to babysit your grill all day then a PartyQ temperature control is key. The revolutionary integrated fan uses proprietary algorithms and increases or decreases the intensity of your charcoal's heat to create your perfect temperature, just like an oven. Since the fan is placed over your smoker's air vents, you no longer have to fiddle with them to achieve the ideal amount of airflow. The PartyQ will maintain a steady temperature throughout the cook even if there are changes in humidity, precipitation, or outside temperature. 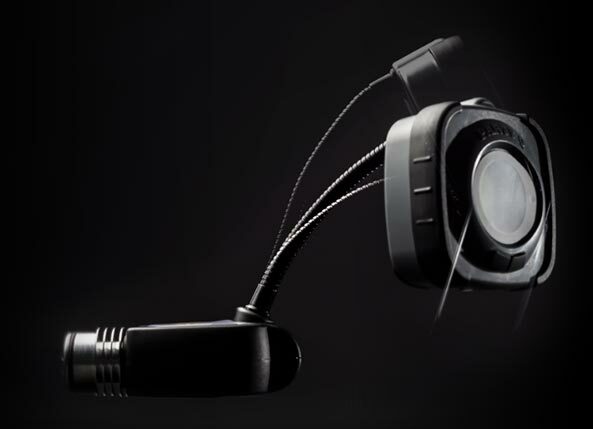 The PartyQ's main control unit is attached to a bendable neck mount that allows for multiple viewing options. Simply twist and turn the control to your desired viewing angle and the strong neck mount will securely hold it in place. Enjoy fall-off-the-bone and tantalizing meals on the go. 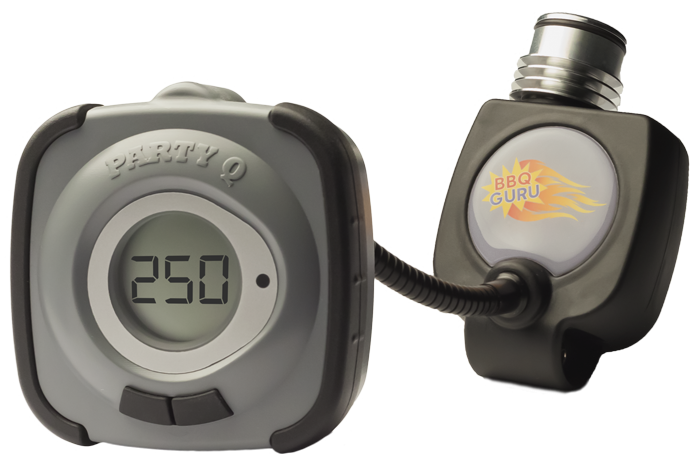 The PartyQ is the world's only battery-operated portable automatic temperature control, making it portable and convenient for those who love to slow cook for their friends and family. Bring the PartyQ to your next camping, fishing and hiking trip, tailgating or sports event, the mountains or beach, and your own backyard. In the rare event there is a brief or sustained power interruption during a cook, such as a dead battery, the PartyQ's internal memory will automatically continue to control your cooker at the same settings you originally picked when power is restored. Knowing that there are hundreds of grills in the marketplace, BBQ Guru has manufactured a massive list of specifically made adaptors to offer maximum compatibility. This ensures the PartyQ will perfectly fit on almost any small to medium sized charcoal or wood fired grill and will most likely work with yours. The process of finding a compatible adaptor for a specific grill, smoker or cooker is easy, simple, and fast. Use BBQ Guru's "Help me Choose Guru Guide" to quickly find the right match.